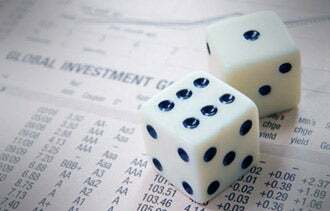 3 Insurance Gambles That Put Your Business at Risk | Zeiler Insurance Services, Inc. Here are three of the most common mistakes to avoid when deciding on business insurance. 1. You view insurance as one-size-fits-all. Think again. There are four basic types of insurance that all businesses need, according to Worters. Property insurance protects the building that your business is housed in and the inventory, raw materials and computers that you own. Liability insurance protects you against lawsuits. Business vehicle insurance covers any autos owned by the business. Finally, a business with employees must have workers compensation insurance should an employee be injured on the job. 2. You think you're covered by another policy. Some business owners assume they don’t need coverage. They believe their company is covered by their client's policy or they're no longer at risk when a client leaves. Not true. A client can come back and sue you years after an event or transaction occurs. And don't think your homeowner's policy will bail you out, either. Even if you have a home-based business, a homeowner's policy won't protect it should you get into any legal issues with employees or business litigation. Whether the homeowners’ policy will protect your business property in your home depends on the policy.